And, now onto the current room state. His new bed takes up a lot more space, it was actually his g-pa's bed, which was also my bed as a child. I love that he is now using it too. Its crazy how different a wall color can look at certain times of the day. We moved a lot of things out - like his train table and other larger toys. And, we have this awesome window treatment to shade out the sun - its called a fleece blanket. It really is all the rage. So, curtains and blinds are definitely on our list of items needed for his room. I hope to bring in some fun artwork, hopefully a map and definitely add some sort of dinosaur element to his new space. He obviously loves animals so that has to play out in his new big boy room. 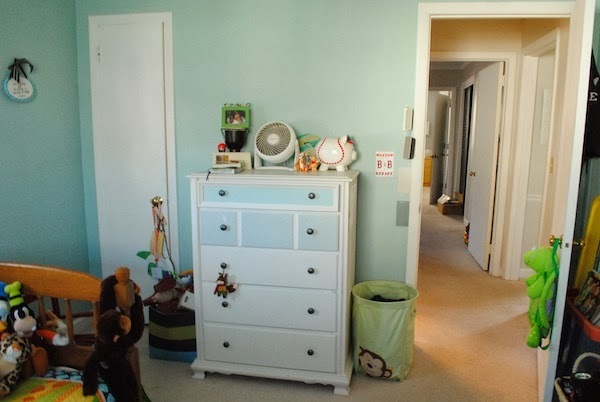 This dresser needs an update as well and I would love to add some shelving storage above it and solve the crazy looking arrangement we have currently. Which leads me to the next item of business, toy storage solutions. 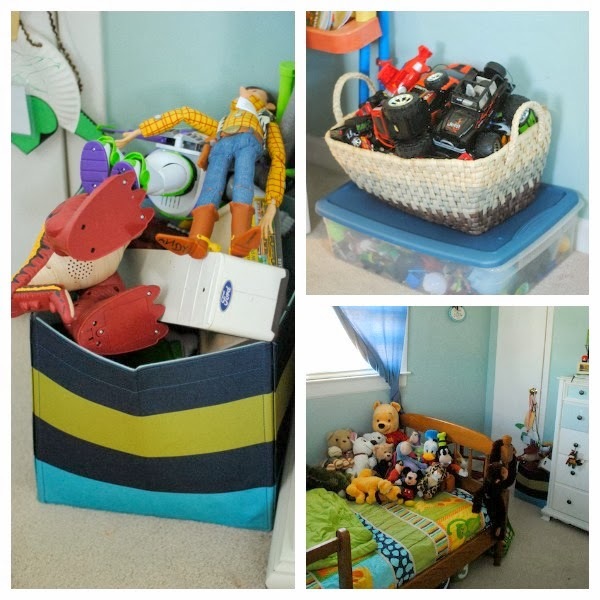 We are still trying to work out a toy plan between his room and the playroom but I'm thinking he needs some sort of actual toy storage rather than random bins and boxes. We are also thinking through a new wall color. I put some swatches up to let Silas clue me in on what he likes. Of course in typical boy fashion, he said all of them (which is equivalent to I don't care mom) -which was no help at all. He did however narrow down our search to these four from a larger selection. I believe color had nothing to do with it, the names are what spoke to him. 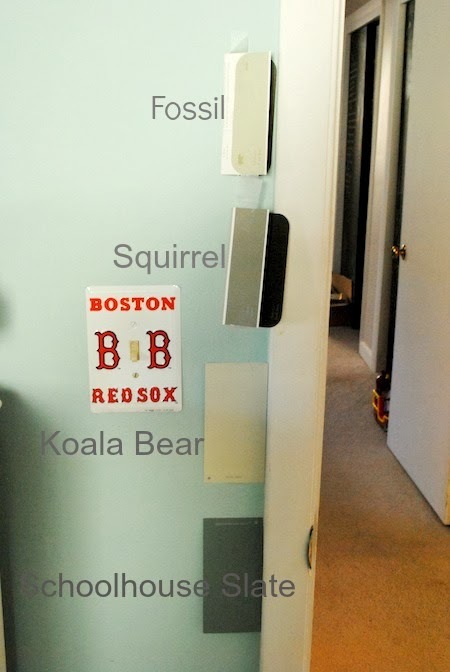 Color names like fossil, koala bear, squirrel, and schoolhouse slate. He knows how to choose them. Honestly, schoolhouse slate is a pretty great color so we are leaning that way but I'm still not sold. Here is a slightly better idea.. He did let me know however that he likes blue, green, orange and yellow. So if I can work all of those in I think that would be fun. 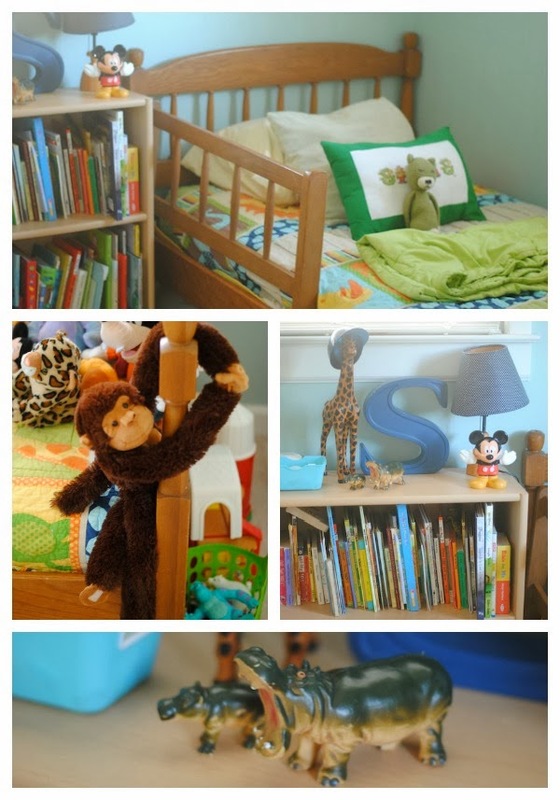 So for fun and inspiration I thought I would put together a little mood board for what I'm thinking for his new room. Its really just a rough idea, but kind of the direction I'm headed for. 4. Room Darkening Curtains - I.love.these. This will be a slow process I'm sure, but at least the process as begun. 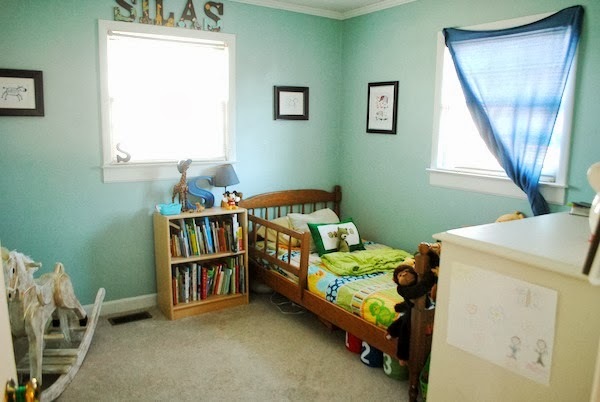 I can't wait to see how his room slowly comes together. Hope you guys have a great day and are staying warm!! Maybe an accent wall (something I've enjoyed playing with in our past two homes...not this home, because I've been forbidden to paint!)? Three walls one color, and that back wall, which you see straight on as you enter the room, a different accent color?